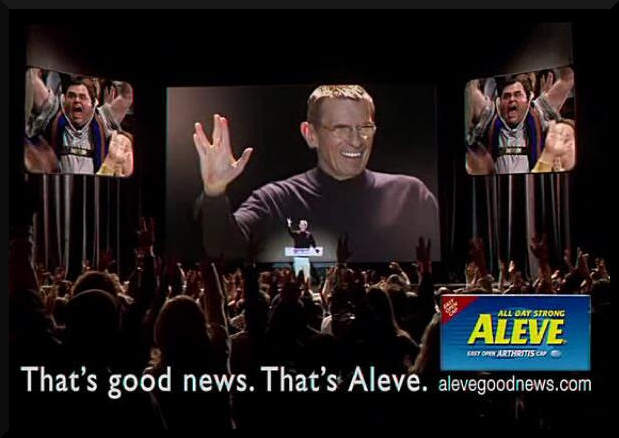 Mr. Nimoy has done a new commercial for a company providing a facebook ap for its Optik TV. 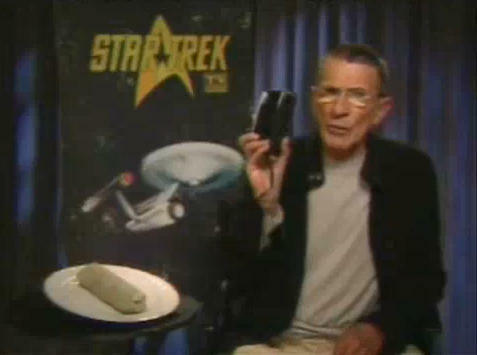 Marking the launch of social networking on Optic TV, Telus has enlisted Spock of Star Trek fame. 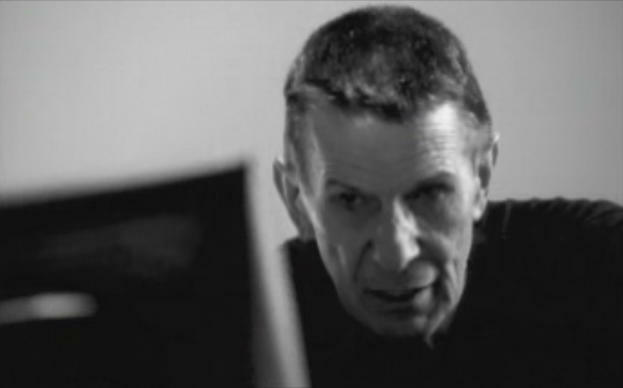 Actor Leonard Nimoy's appearance in a Telus Optik TV ad starting to air next week marks the first time the company has used a celebrity in its advertising. More here. 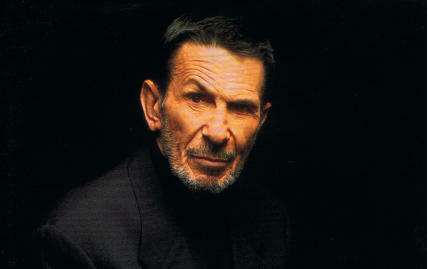 Leonard Nimoy, among others, recorded a fundraising pledge for the Public Broadcasting Service (PBS) in 2009. 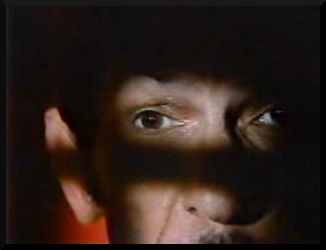 His lines are: "Star Trek went on the air in 1966. Please call now to support PBS. It's only logical. PBS is for everyone." 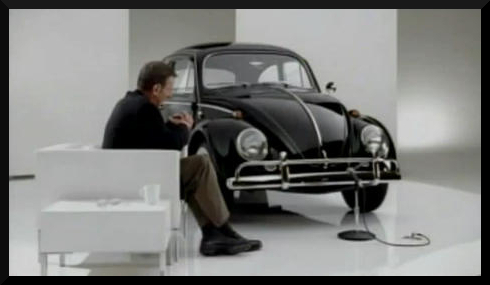 A classic Beetle acts as a talkshow host. Made in 2008. This one was aired during the 2006 Super Bowl. It is a TV ad for a painkiller to relieve arthritis pain. William Shatner is told that Priceline has a new strategie and that they're letting him go because they hired a new spokesman. 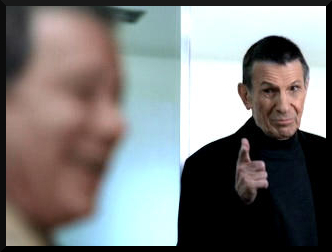 William Shatner tries to convince Leonard Nimoy that they both can be spokesmen for Priceline. William Shatner finds himself locked out of the company hotel suite. Why Do We love the Mouse? 2000 Super Bowl XXXIV commercial for Disney/BMW. 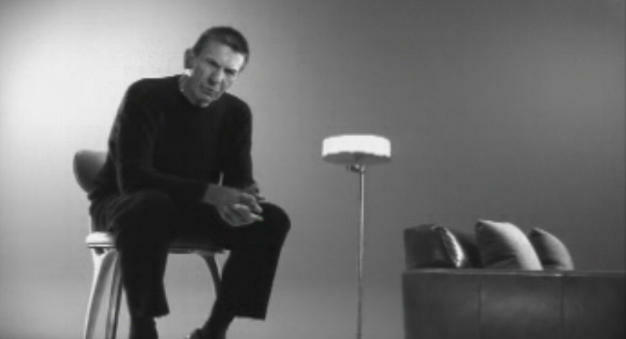 Leonard Nimoy wonders about peoples' strange fascination with Mickey's ears. 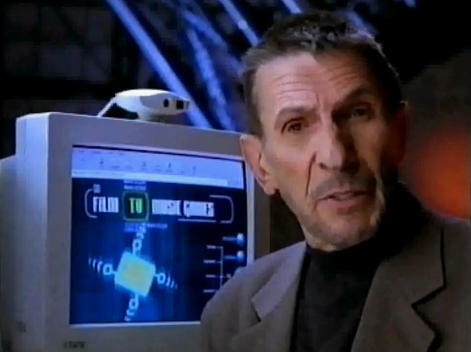 YouTube description: "Advert produced by Time Computers in 1998 Featuring Mr. Spock (Leonard Nimoy) of Star Trek. The concept behind the Time Machine was that a PC can take you into the future." The internet is as difficult to navigate as the infamous Bermuda Triangle. Campaign for a search engine company. 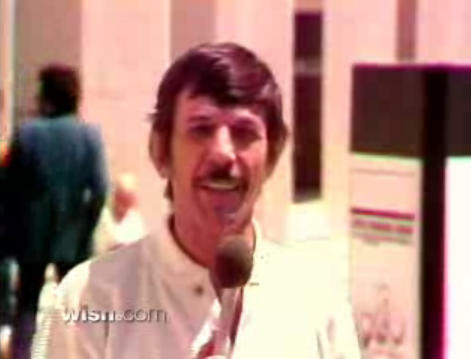 Leonard Nimoy was hired "as their spokesperson based on his In Search Of and Star Trek notoriety." See the advertising agency's website for more. Navigating the internet doesn't have to be as challenging as building the pyramids. Is there life after death? How large is infinity? The internet doesn't have to be as puzzling as those questions. Finding an alien might be easier than navigating the internet. 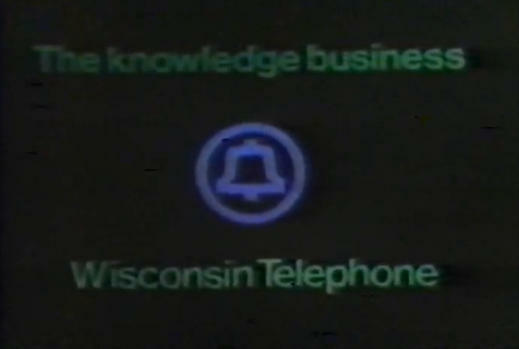 The entire cast of TOS plus Jonathan Frakes did a commercial for a phone company in 1993. 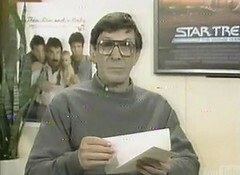 In 1992 Leonard Nimoy did a commercial for a shuttlecraft Christmas tree ornament for Hallmark. 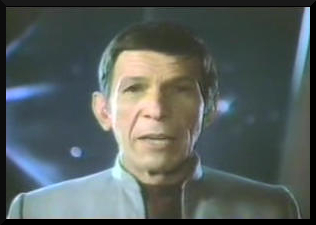 In 1991 Leonard Nimoy appeared together with his daughter Julie in a car commercial praising the advantages of an Oldsmobile mini van. 1993 Commercial for Western Airlines with William Shatner and Leonard Nimoy. Plus some footage that seemed to have been intended to promote Star Trek: The Voyage Home at Show West. 60th Academy Awards promo, April 10th, from KXLY TV 4, ABC. 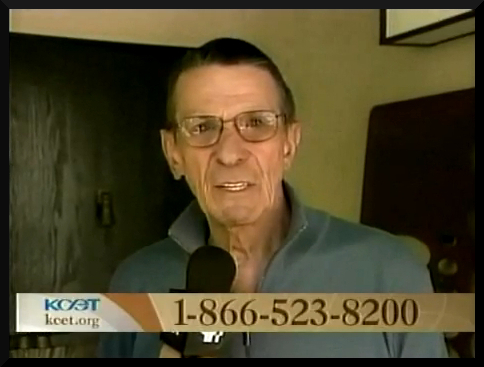 YouTube description: Leonard Nimoy in a commercial for Edmonton Telephones pagers. Probably aired in the late 80's. Commercial for the Star System Color TV from 1981. 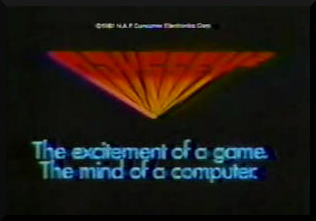 Odyssey Video Game 1981. 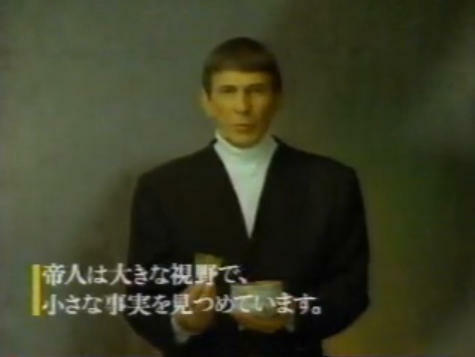 Leonard Nimoy narrates the spot. The newest in computer technology helps companies track down problems in their communication systems before they become a problem. 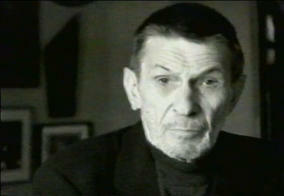 Narrated by Leonard Nimoy. Broadcast sometime between 1978 and 1979. 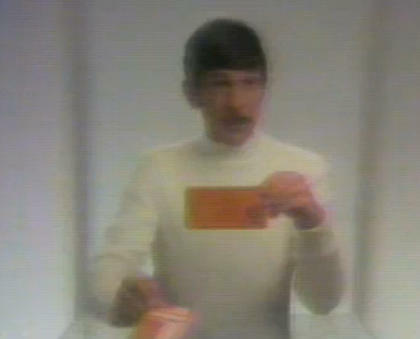 YouTube description: "Leonard Nimoy explains the logic of why Atlantic Bank is for you in this vintage 1979 commercial." 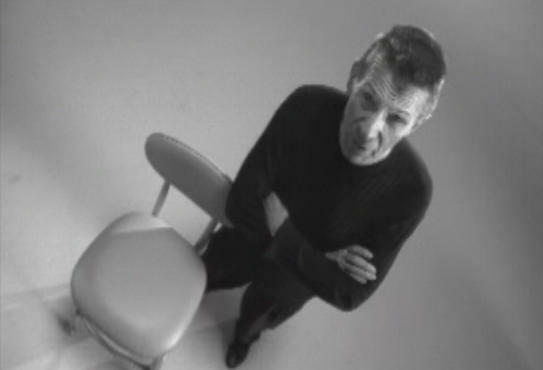 Atlantic Bank Card: Leonard Nimoy with outer space background discusses electronic banking. 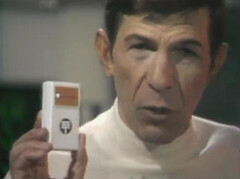 Atlantic Bank: Leonard Nimoy talks about high technology of "Electronic Bank Terminal" and is beamed up at end.